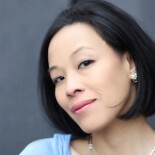 Lia Chang: Jarlath Conroy set for Shakespeare Theatre Company’s The Merry Wives of Windsor, June 12–July 15, 2012 at Sidney Harman Hall in Washington D.C. The Shakespeare Theatre Company is presenting The Merry Wives of Windsor, June 12–July 15, 2012, at Sidney Harman Hall, 610 F Street NW in Washington D.C. The Merry Wives of Windsor, a bawdy, riotous romp that hasn’t been seen on STC’s stage in more than a decade, includes Bev Appleton as Bardolph, Jarlath Conroy as Shallow, STC Affiliated Artist Veanne Cox as Mistress Page, Michael Keyloun as Abraham Slender, Jimmy Kieffer as the Host of the Garter Inn, STC Affiliated Artist Floyd King as Sir Hugh Evans, James Konicek as Pistol, Caralyn Kozlowski as Mistress Ford, Michael Mastro as Master Frank Ford, Hugh Nees as Nym, Kristine Nielsen as Mistress Quickly, Kurt Rhoads as Master George Page, David Schramm as Sir John Falstaff and STC Affiliated Artist Tom Story as Doctor Caius. Ensemble members include Remy Brettell, Aayush Chandan,Caroline Coleman, Alyssa Gagaran, Michael Gregory, Aaryn Kopp, Matthew McGee, Anne Page, Ian Pedersen and Aidan White. Making his STC directorial debut, director Stephen Rayne puts a new spin on this comedy and a merry end to an exceptional season. The Merry Wives of Windsor tells the tale of Falstaff, an impoverished knight, who plots to woo two wealthy wives at the same time. However, his plan backfires and the cunning wives seek revenge, bringing chaos to Windsor and embarrassment after embarrassment to Falstaff. 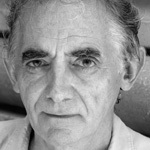 Jarlath Conroy has appeared on Broadway in The Seagull with Kristin Scott Thomas, The Weir, The Iceman Cometh, On The Waterfront, Ghetto, Philadelphia, Here I Come!, The Visit, Comedians. Off-Broadway: The Coward, Finn, A Man of No Importance, Our Lady of Sligo, A Life, Gardenia, Translations, The Matchmaker. His regional credits include The Homecoming, Catchpenny Twist, The Steward of Christendom (Barrymore Award), Juno and the Paycock (Helen Hayes Award), Henry V (Helen Hayes Award nomination), Faith Healer, Twelfth Night, Ah, Wilderness!, Inherit the Wind, A Christmas Carol. Internationally he has appeared at The Royal Court, London in Cromwell and Hamlet, The White Devil at The Old Vic and numerous plays at Nottingham Rep. Film and television audiences may be familiar with Conroy from his work in True Grit, Day of the Dead, Across the Universe, Kinsey, Stay, Day of the Dead, Heaven’s Gate, The Art of Getting By, “Law & Order”, “Law and Order SVU”, “NYPD Blue”, “Summer”, “A Marriage”,”O’Keeffe and Stieglitz”. His directing credits include True West and Human Resources. To reserve tickets or for more information, please call the box office at 202.547.1122 or visit ShakespeareTheatre.org. In the 2011-2012 Season, the Shakespeare Theatre Company is set to celebrate! Not only is it the 25th year of Michael Kahn’s leadership, vision and artistic direction but, over the past quarter of a century, STC has become one of the nation’s leading theatre companies. Today, STC is synonymous with artistic excellence and making classical theatre more accessible. The Shakespeare Theatre Company’s innovative approach to Shakespeare and other classic playwrights has earned it the reputation as the nation’s premier classical theatre company. By focusing on works with profound themes, complex characters and poetic language written by Shakespeare, his contemporaries and the playwrights he influenced, the Company’s artistic mission is unique among theatre companies: to present theatre of scope and size in an imaginative, skillful and accessible American style that honors the playwrights’ language and intentions while viewing their work through a 21st-century lens. In its 2007-2008 Season, the company opened the Harman Center for the Arts, consisting of the new 774-seat Sidney Harman Hall and the 451-seat Lansburgh Theatre, both located in downtown Washington’s Penn Quarter neighborhood. A dynamic hub of activity, the Harman Center showcases the company as well as outstanding local performing arts groups and nationally renowned organizations. STC’s annual Free For All performance, a re-creation of a production from seasons past staged for free in August and September, is now held at Sidney Harman Hall. Sidney Harman Hall is located at 610 F Street NW, Washington D.C. This entry was posted on June 1, 2012 by Lia Chang in Entertainment, Portrait Photography, Theater, Travel and tagged Backstage Pass with Lia Chang, Coen Brothers, Day of the Dead, Harold Pinter, heaven's gate, Homework” Jarlath Conroy, Lia Chang, Off-Broadway, Oscar nominated, Roadie, Shakespeare, shakespeare theatre company, The Coward, The Duke, The Homecoming, the merry wives of windsor, True Gri”, veanne cox.